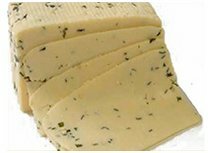 Havarti originated from Denmark, and is a semi-soft milk cheese, made from high-pasteurised milk. Its very creamy and mild in taste. It is different to Cream Havarti, which is enriched with extra cream. Cream Havarti usually ripens very little and has a smooth texture.